Cycle Pro Motors | Home Of New Zealand's Best Bicycle Engines! Welcome To Cycle Pro Motors! Welcome to Cycle Pro Motors – Home of New Zealand’s best bicycle engine kits! Cycle Pro Motors is a company that specializes in bicycle engines. From April 1st 2011, Cycle Pro Motors took over all the stock and spare parts from Mikes Chainsaws & Outdoor Power and is now handling all sales, parts and support for all bicycle engine purchased from Mikes Chainsaws & Outdoor Power and welcomes all new customers. Please took a look and browse through our range of bicycle engine kit and parts. All prices include GST and a GST invoice is issued with every sale. Click here for our range of bicycle engine kits! 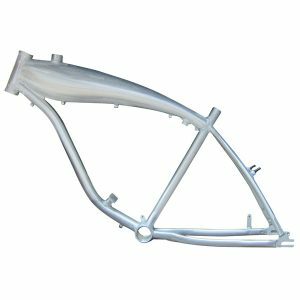 Check out the all new CPM Alloy Moped Bike Frame! This is the BEST frame to use for the BEST Moped!